The late 70s were a terrible time for car enthusiasts -- and I'm sure the older folks in the crowd will remember the L48 V8 powered Vettes and what absolute DOGS they were. Actually, that's an insult to dogs because the average dog could not only catch an L-48, it could do it with such ease that it could actually pee on its tires while chasing it on three legs! Thankfully this next Corvette has had the L48 removed and recycled into a dog water bowls, but the seller has replaced the engine with a beastly 427 and covered it with an homage to America. 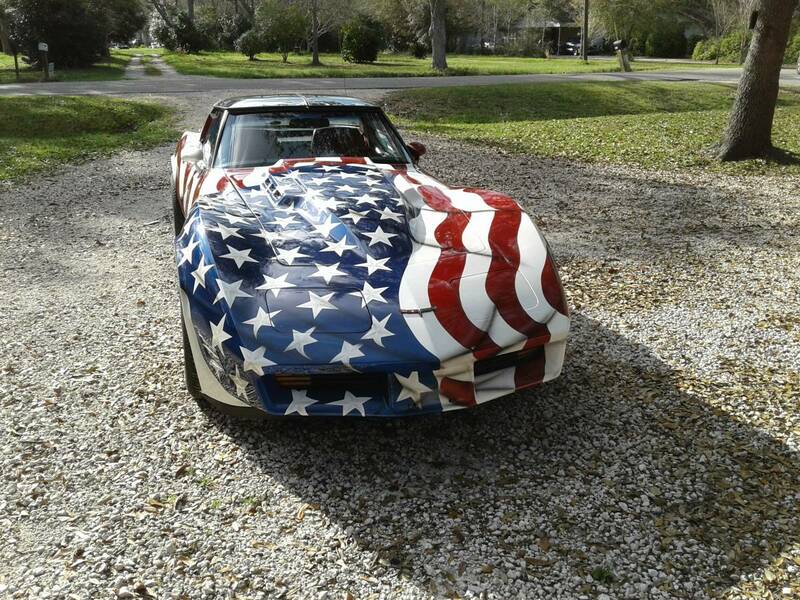 Find this 1979 Chevrolet Corvette offered for $35,000 in Mobile, AL via craigslist. Tip from Wesley. Starting from the exterior, all I can say is WOW. I'm not sure if Betsy Ross had this in mind when she sewed the first American flag (in between birthdays and memorial celebrations for her siblings -- Betsy was the eighth of seventeen children and one of nine to survive childhood) but this would be the perfect car for a trip to North Korea, Syria, or Afghanistan. 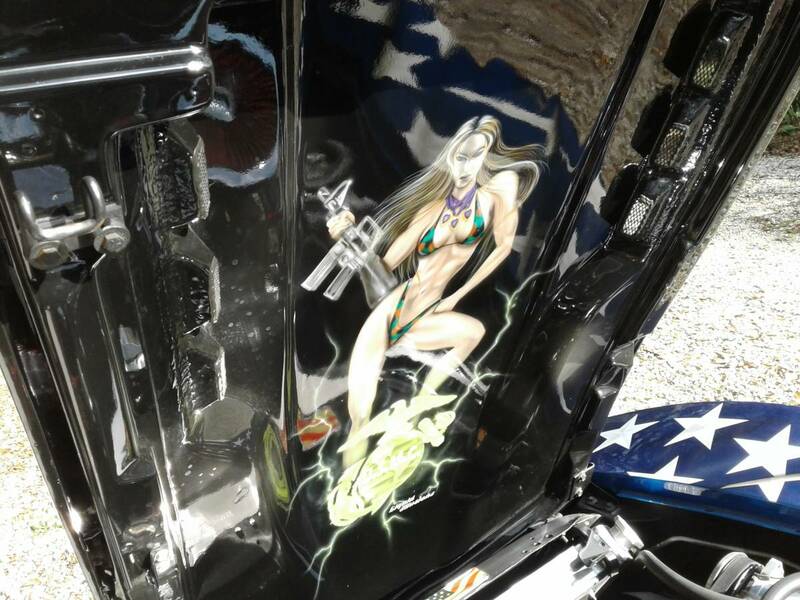 Under the hood is a 427 cubic inch V8 that is NOTHING compared to the airbrushed vixen holding a machine gun and standing on top of the emblem of the Marine Corps. Semper Fuel Injection, my friends. 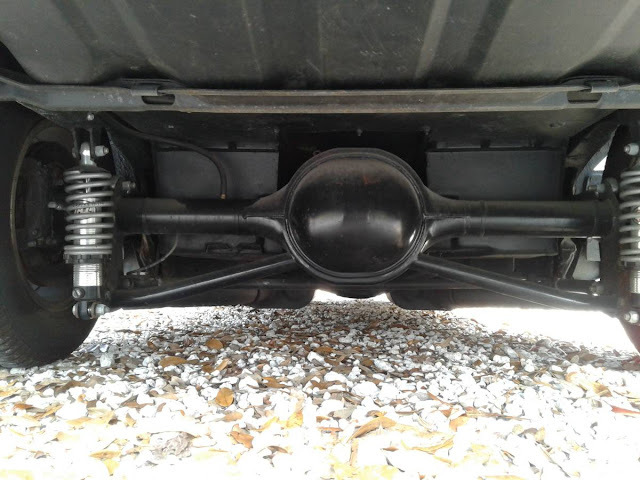 This has to be the strangest part of this entire build -- gone is the independent transverse leaf spring setup that has been a hallmark of Vetteness since 1963, and in its place is a Ford 9-inch rear end. It doesn't get much more 'MURICA than a Chevy V8 hooked to a Ford 9-inch rear end...but...I dunno. 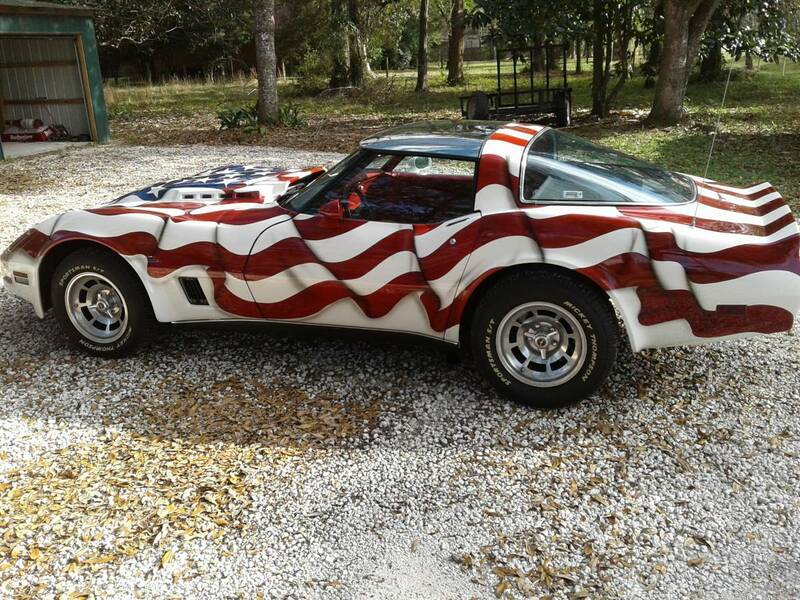 Love it or hate it, a lot of work went into that paint job, but the $35k price tag is is CRA CRA. Insured for $57k...? Really? I guess there's a buyer for everything, but for allegedly only having 7,900 miles that interior is way too rough. If you can live without the livery and lack of leaf springs, save some $$ and get a better example, IMO. I am into something that is the complete opposite. The look of this on really does it for me.